There are some people who are destined to be remembered as the punchline of an anecdote or joke. 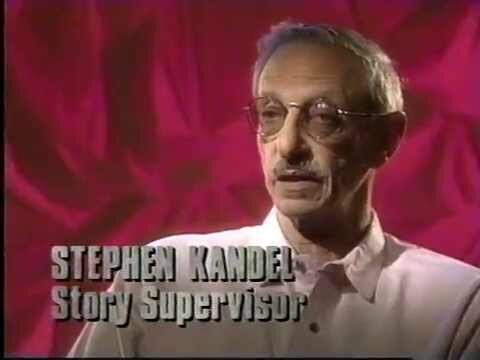 One such person was Adrian Samish, who had a career as a producer and television network executive. He’s the guy who had his pelvis broken as the result of a fight with writer Harlan Ellison over a Voyage to the Bottom of the Sea script. In the usual telling, Samish was the small-minded ABC executive who didn’t appreciate Ellison’s enormous talent. For example, there’s this review at The New York Review of Science Fiction. This anecdote was told for years, especially by Ellison himself. It even was mentioned in the obituary published by The New York Times, although Samish wasn’t mentioned by name, nor was Voyage to the Bottom of the Sea. Rarely, however, is life so black and white. With that in mind, this post takes a closer look at Samish’s career. For one thing, Samish did extract a bit of revenge. Ellison pitched a story for the Batman television series for a story featuring the villain Two Face. But Samish, on his way out the door at ABC, vetoed the idea. At least that’s the gist of this 2013 Den of Geek post. In 2014, Ellison’s story was adapted by Len Wein for the Batman ’66 comic book. Wein, co-creator of Wolverine and Swamp Thing, dies last year. After his tenure at ABC ended, Samish landed at QM Productions. “The acid-tongued, perfectionist Samish demanded scripts so tight, so in keeping with a series’ format, more than one writer assaulted him physically,” according to the preface of the 2003 book Quinn Martin, Producer. 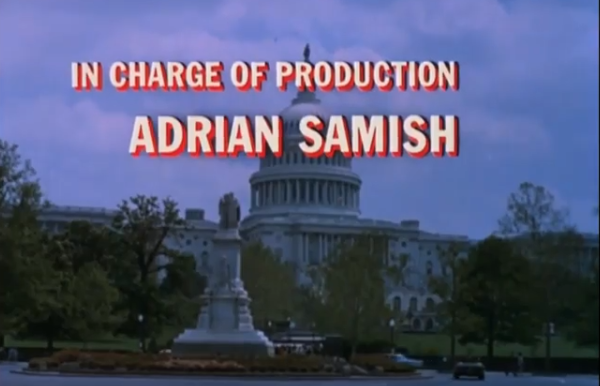 Adrian Samish title card for an episode of The FBI during the 1966-67 season where he got top billing over Arthur Fellows. Samish came aboard QM for shows produced for the 1966-67 season. He was given the title “in charge of production,” which Samish shared with a key Quinn Martin lieutenant, Arthur Fellows. Samish focused on pre-production while Fellows supervised the QM editing and post-production operation. 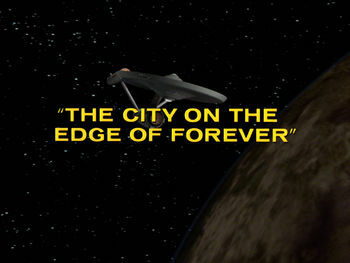 Their shared credit would appear near the conclusion of the end titles. 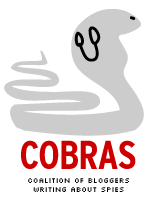 Both names appeared separately, with the two men alternating top billing. According to Quinn Martin, Producer author Jonathan Etter, the two didn’t have much use for each other. Fellows thought Samish had no talent, Etter quotes Richard Brockway, a QM editor, as saying. On the other hand, John Elizalde, a QM music supervisor and post-production supervisor, told Etter that Samish was a valuable member of the team. One fan was actress Lynda Day George, a member of the “QM Players,” of frequently employed actors at the production company. “Adrian was very concerned that a show maintain its integrity,” George told Etter. “He wanted to be sure that characters were understood, that what was wanted by the production was understood.” Etter wrote that Quinn Martin trusted Samish’s judgment. However, Samish on more than one occasion aroused anger during a run of several years at QM. Philip Saltzman and Mark Weingart, the producer of associate producer of The FBI, had written extra scenes for an episode that was running short. Samish called Saltzman, angry that the extra material hadn’t been approved in advance. 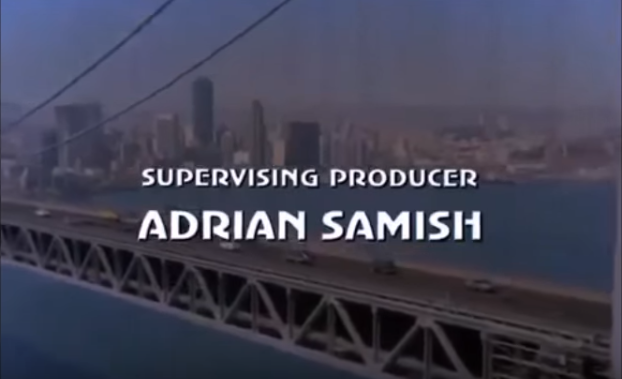 Adrian Samish title card for a first-season episode of producer Aaron Spelling’s Starsky and Hutch series. Samish, over time, also took on the task of producer of QM TV movies and pilots. Sometimes by himself (House on Greenapple Road, which resulted in the Dan August series, as well as the pilots for Barnaby Jones and The Manhunter). Sometimes with Fellows (the pilots for Cannon and The Streets of San Francisco). Samish ended up departing QM in the 1970s to work for producer Aaron Spelling. Samish died in 1976 at the age of 66. James Bond creator Ian Fleming has shown up on a list he’d probably wouldn’t like. 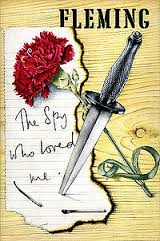 For Fleming, it’s The Spy Who Loved Me, his 1962 007 novel that’s written from the first-person perspective of a woman and where Bond doesn’t show up until the last third of the story. Here’s an excerpt of a fairly short entry. (Fleming) sold the rights to the title only, after the book proved to be sort of a bomb. He refused a paperback reprint of the book in the UK, effectively trying to bury it completely. Critics fell over themselves to pan it. “His ability to invent a plot has deserted him almost entirely,” wrote the Glasgow Herald. There’s not that much more, but our policy is to only put in excerpts to encourage readers to check out the original source material. The thing is, Fleming has some notable company on the list. The Book Dirt blog also references books by Neil Gaiman, Martin Amis, Harlan Ellison and Louis L’Amour among others. To read the entire list and accompanying commentary, CLICK HERE. Thanks to The Rap Sheet, where we spotted the Book Dirt blog entry.